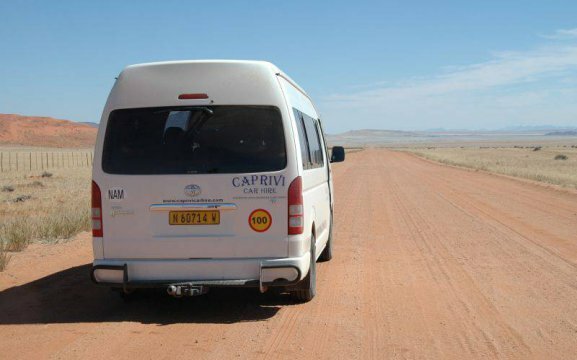 Caprivi Car Hire was established in 1996, now with a large reputable fleet based in Windhoek. 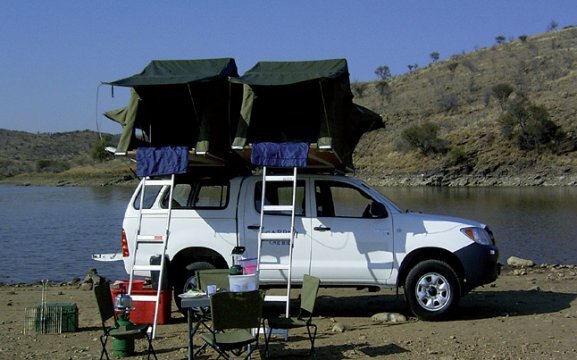 We offer the most reliable vehicles such as the Suzuki Vitara, Quantum Buses and 4×4 vehicles such as Toyota Hilux Double Cabs with or without camping gear. 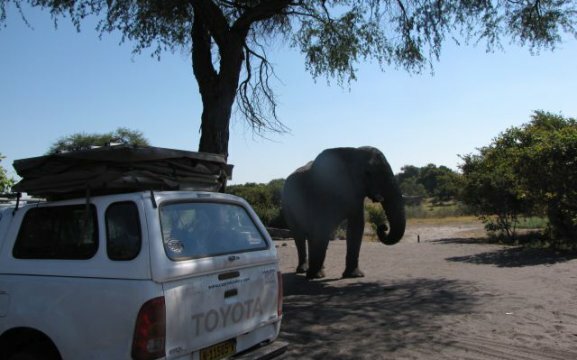 All vehicles are equipped with the toughest tyres (especially the 4x4s) and 2 spare wheels. 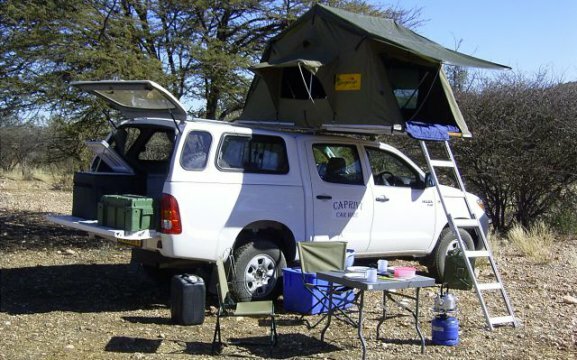 The Toyota Hilux Double Cabs have an additional diesel fuel tank and extras. 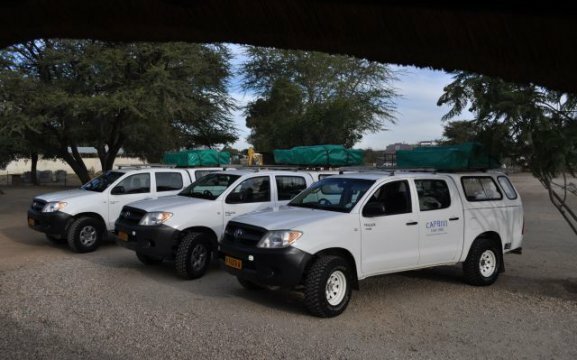 The vehicles are shown and explained extensively to our clients. 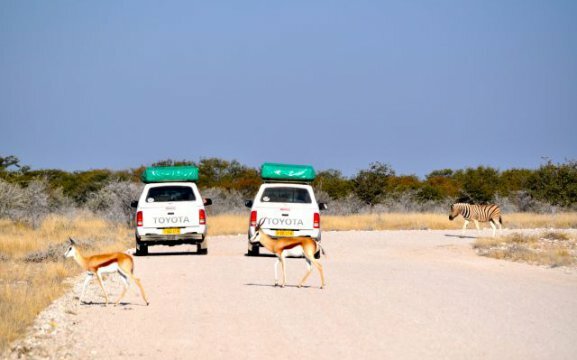 Our services include airport transfers, unlimited mileage, 24 hour emergency service and much more. 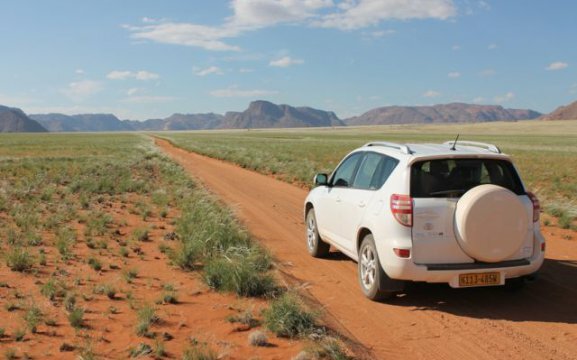 We also gladly give you tips for your journey. We offer value for money and effective motor vehicle insurances for glass and tyre damage. 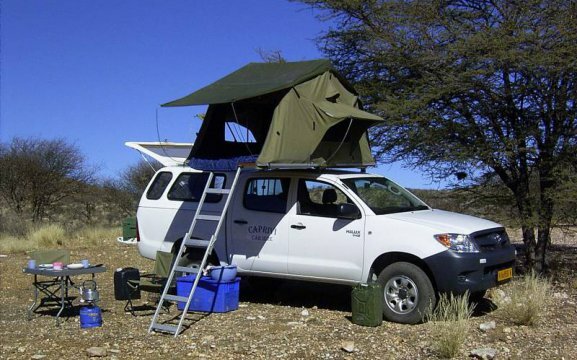 Extras that can be requested are roof tents, ground tents, stowing boxes, cool boxes, diesel canister, water canister, 12 volt compressor, tables, chairs, sleeping bags, and GPS navigation systems.